Sixty-one, and counting, to be precise. 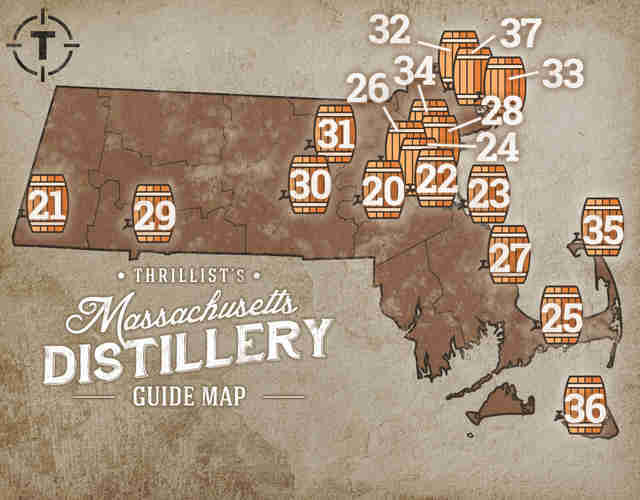 That's how many distilleries there are in New England producing world-class spirits. We'll repeat that. Sixty. One. Distilleries. Crazy, right? And while most of them are small-batch, they’re anything but small-time, racking up countless awards and an ever-widening national distribution. Ancient methods meet modern tech at Tai Phan Lam’s distillery producing “ultra-pure” brandies with New England fruits. After returning from a trip to Southern Italy, the founders started making their own Italian-style cream liqueurs suitable for sipping straight or incorporating into cocktails. Owner/Master blender Rich Gummoe pays homage to our favorite colonial spirit with his premium white rum made from pure mountain spring water. From passion to product, owner Eric Kotowski goes the artisan route at his micro-distillery utilizing local fruits and grains. 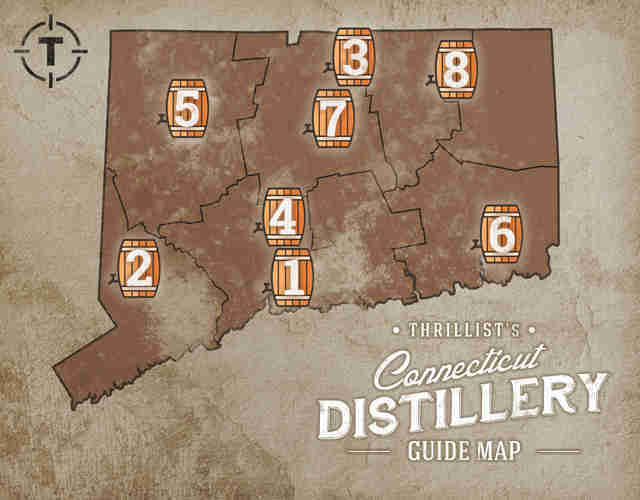 Litchfield Distillery uses 100% Connecticut corn and regional grains and is committed to supporting the local food movement. Three friends quit their day jobs to follow the dream of opening a small-batch distillery. The Chatay family melds European tradition with American craftsmanship to produce high-quality spirits made from New England fruits. Tours/Tastings: No tours/tastings at the facility; it hosts semi-regular open houses during the year. 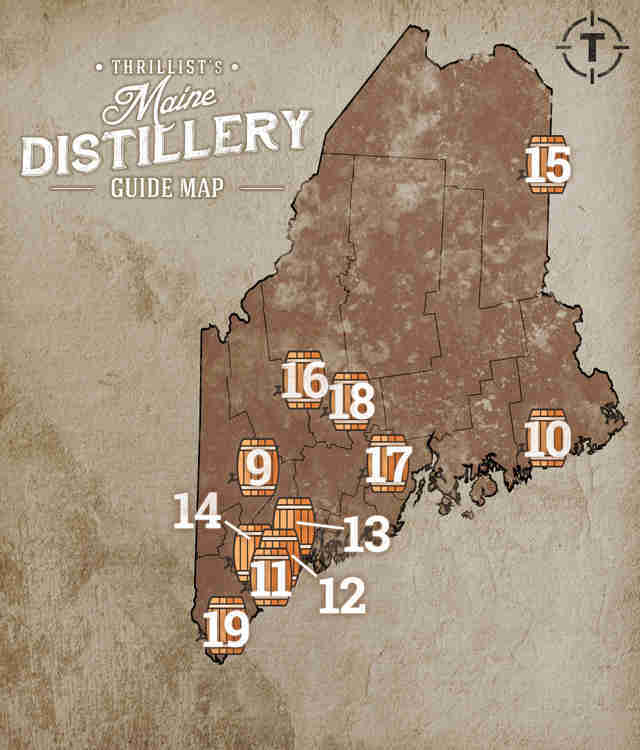 Artisan is Maine’s only micro-distillery with a vacuum distillation system, and the head honcho (Stuart Littlefield) is a master French-trained chef. Part of Bartlett Winery, the new spirits division makes oak-aged rum with organic molasses. Tours/Tastings: No tours; the tasting room is open from June through October (Tuesday through Saturday, 10am-5pm), off-season by appointment only. Liquid Riot is also a brewery, and its tasting room has a fully stocked menu of beers, cocktails, and belly-busting eats (e.g., pork loin sofrito). 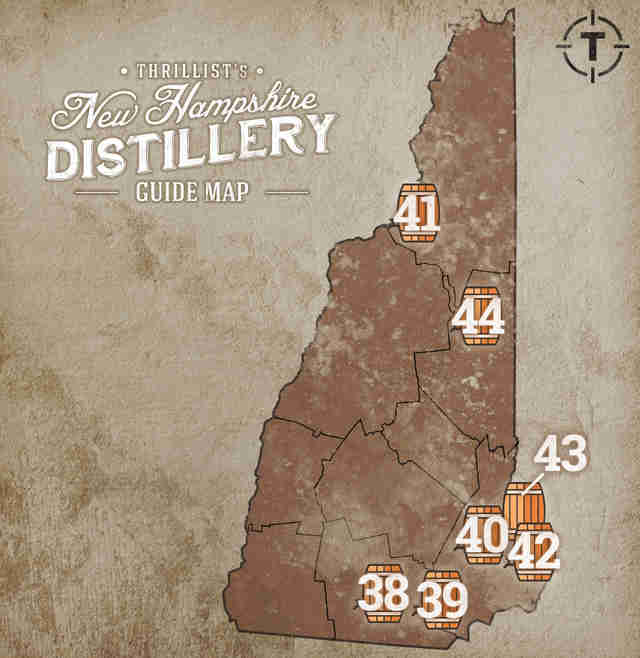 Inspired by the terroir of Maine, Chief Distiller Luke Davidson sources locally at his farm-to-flask distillery. Tours/Tastings: No tours at the Portland HQ; the Portland tasting room and retail store is open Monday through Thursday, 1-5pm; Friday/Saturday noon-6pm; the Public House tasting room (Freeport) is open Monday through Thursday 11am-7pm; Friday/Saturday from 11am-9pm; and Sunday from noon-7pm. Head Distiller Chris Dowe triple-distills his spirits before bottling and numbering each batch by hand. Tours/Tastings: Tours and tastings are available every day from noon-5pm. NED’s custom-made copper pot is still heated by direct fire allowing more caramelization and robust flavors. Tours/Tastings: Free tours (with tastings included) occur on the hour Monday through Friday, noon-4pm; and Saturday, 10am-4pm. Twenty 2 vodka, a micro-distilled spirit, has racked up over 14 awards at major industry shows (i.e., NY International Spirits Competition) since 2009. Sandy River is a brand-new moonshine distillery and its first batch is still in production. Visit its website and Facebook for more information. Sweetgrass Farm uses over 70,000lbs of Maine-grown fruit and grain each year in its wines and spirits. Tours/Tastings: There are 30-minute farm/distillery tours (in Union) available by appointment, email constance@sweetgrasswinery.com; tastings in Union are available all week from Mother’s Day through New Year’s Eve, 11am-5pm; Old Port Tasting Room and Shop (Portland) is open Thursday through Monday, 11am-6pm. David and David Woods, a father/son team, make their spirits from sour mash recipes in a homemade 60-gallon copper pot still. Once in operation, 20 Paces will use a 100-year-old alembic still refurbished in France. Products: Coming soon, the first whiskey batches are still in production. The award-winning small batch distillery has a brand-new production facility in Sheffield, and the tours are “sensory focused” with nosing spirits from various stages of the process. Tours/Tastings: Tours with tastings ($10/person) are Fridays and Saturdays from noon-4pm on the hour, and you can get your tix here. This brand-new distillery is housed in a pre-Civil War-era building on Boston Harbor with a cool/rustic bar and lounge, and it also sells fine cigars. Tours/Tastings: Tours with tastings ($10/person) are Thursdays & Fridays, 4-8pm; and Saturdays, noon-8pm. Bradford uses potatoes from a family farm in Western Massachusetts, and each spud is sorted by hand. Bully Boy was Boston’s first craft distillery (founded in 2010), and it’s named after the family’s favorite farm workhorse. Tours/Tastings: Tours available by appointment only, check here. After a few years of research and schooling in Scotland, Canada, Sweden, Kentucky, and Tennessee, father-son team Skip and Rick Wrightson have been hard at work perfecting their recipes... and we should be able to taste the results soon. It just released its hopped single malt whiskey made with barley from Valley Malt and double-hopped Centennial Hops from Four Star Farms. Dirty Water uses two hand-made stills -- 200 gallons and 10 gallons -- and their names are Dr. Evil and Mini Me. Oh, behave! GrandTen’s HQ was once the largest foundry in the US, and Wire Works gin is named in its honor. Tours/Tastings: Friday Night Flights, a more formal tasting and tour, happen every Friday (6:30pm), reservations required; tasting room is officially open Saturdays (noon-4pm) with free tours at 1pm, 2pm, and 3pm. Kaptain Jimmy’s is the East Coast’s first restaurant-distillery, and it incorporates its house-made spirits into signature cocktails. Tours/Tastings: There are no tours with tastings; restaurant hours can be found here. McMillan is not officially open, but its distillers are hard at work on a four-year-aged whiskey and experimenting with other recipes. Part of the Nashoba Valley Winery, the distillery division produces 800 cases of spirits per year and uses around 36,000lbs of fruit (80% from Massachusetts). Tours/Tastings: Tours with tastings are Saturdays and Sundays (11am-4pm) approximately on the hour, no reservations required. Each bottle of Privateer is tagged to its aging barrel, and you can look it up online. Tours/Tastings: Tours with tastings are Fridays and Saturdays at 11:30am and 1pm, call 978.356.0477. Ryan & Wood mill its own grain to get the desired flavor profiles during distillation. Tours/Tastings: Free tours with tastings are Mondays, Wednesdays, Fridays, and Saturdays (10am and 1pm); there are occasional tastings in regional stores. Boston’s newest distillery, Short Path combines the art of distilling with the science of taste to create its distinctive spirits. Tours/Tastings: Tours are available by appointment in groups of five or more Monday through Thursday. Email them at info@shortpathdistillery.com. Owned by the Roberts family of Truro Vineyards fame, South Hollow Spirits uses American organic sugar cane and molasses, and its amber rum is aged in chardonnay barrels. Tours/Tastings: Tours are daily at noon and 2pm, no reservation required; $10 tastings are Monday through Saturday from 11am-5pm/Sunday from noon-5pm and include a .25oz of the Amber and Spiced and 2oz pour of a cocktail of the day. Triple Eight is part of Cisco Brewers mini-empire, and it’s named after its pure water source well (888, get it?). Tours/Tastings: Tours with tastings are daily at 1pm and 4pm and it doesn’t take reservations. Childhood friends Mat Perry and Evan Parker, inspired by local history, produce rums using table-grade sweet molasses from Louisiana-grown sugar cane. Tours/Tastings: Tours with tastings are Monday through Friday (noon-5pm) or upon request. If you’re really into beverages and learning, Djinn offers a series of classes on various topics like whiskey and cocktails. Tours/Tastings: Tours with tastings are Saturdays and Sundays from noon-4pm on the hour, email info@djinnspirits.com. Fabrizia’s Italian margarita is a ready-to-rock bottled cocktail with agave tequila, real lemonade, and its all-natural limoncello. Flag Hill uses neutral apple spirits as the base for many of its creations, and it uses thousands of gallons of pressed apples from Apple Hill Farm in Concord, NH. Tours/Tastings: Tours are Saturdays and Sundays and times vary on season; tastings are held in the tasting room Wednesday through Sunday (11am-5pm). This is a new distillery under the direction of Erik Lee, email info@halo-vodka.com. 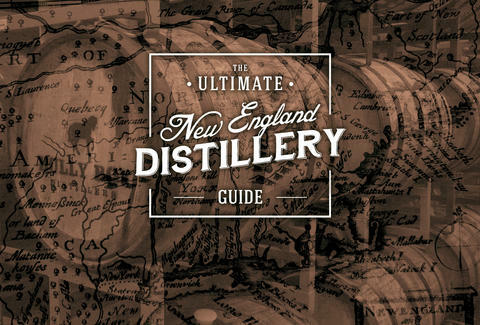 Sea Hagg is a women-owned-and-operated micro-distillery honoring New England’s rum tradition. Tours/Tastings: Tours and tastings are Fridays, noon-6pm; Saturdays, noon-4pm; and Sundays, noon-4pm. The folks at Tall Ship Distillery make their rum in a 250-gallon copper still that they designed and built themselves. Tours/Tastings: Tours and tastings are available Monday through Friday,10am-6pm; Saturday, 10am-3pm; and Sunday, 9am-1pm. Tamworth’s “Art in the Age” series ditches basic convention and adds unique flavors like beet root and chicory to the spirits. Tours/Tastings: Tours on Mondays and Wednesdays are by appointment only; regular visiting hours are Wednesday through Thursday, noon-5pm; Friday, noon-8pm; Saturday, 10am-8pm; and Sunday, noon-5pm. 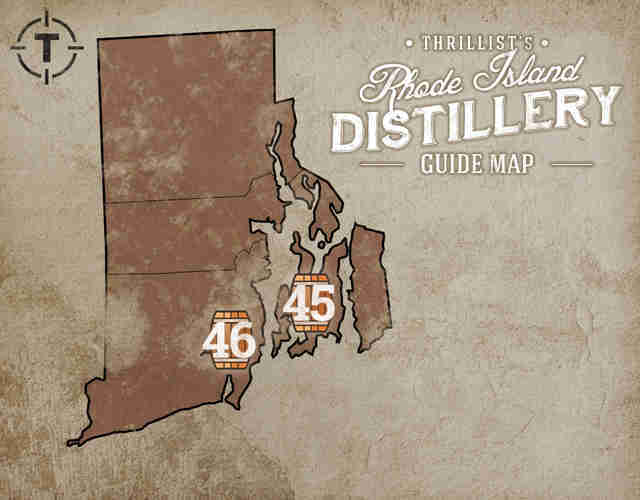 When it opened in 2006, Newport Distilling Co. became the first licensed distillery in Rhode Island in 135 years, and its rum is named for local pirate Thomas Tew. Tours/Tastings: Tours/tastings are Sunday, Monday, and Wednesday from noon-5pm, and Thursday through Saturday from noon-6pm. Inspired by seasonal beers, Sons of Liberty started producing seasonal whiskeys jazzed up with flavors such as hops and pumpkin spice. Tours/Tastings: Tastings are only on Friday as part of Friday Night Flights (4:30-7:30pm), and tours and tastings on Saturday are from noon-3:30pm. The distillery is in a barn within Artisans Park, and it has a fully licensed bar for proper cocktails and tastings. Tours/Tastings: Tours and tastings are daily from 11am-5pm. In February 2015, Appalachian Gap won the gold medal at the American Craft Spirits Competition for its Snowfall Vermont whiskey. Tours/Tastings: Tours with tastings are daily from 1pm-5pm; there are occasional tastings in regional stores. Boyden Valley Winery started producing spirits in 2010 and became the first craft distillery in the US to specialize in crème liqueurs. Tours/Tastings: Tours are daily at 11:30am and 1pm; tastings are held in its tasting room daily, during normal hours of operation, check here. The award-winning Caledonia Spirits has its own beehives and distills its vodka from honey wine. Tours/Tastings: Tours and tastings are Monday through Saturday,10am-5pm; and Sunday, 10am-3pm. Dunc’s Mill produces refined rums infused with natural flavors from the Green Mountain State (i.e., maple and elderflower). While other distilleries are farm-to-flask, Elm Brook is forest-to-flask, as maple sap from its own trees provides the base for its booze. The folks at Flag Hill Farm are taking their apple obsession one step further by distilling a Vermont version of the French apple brandy known as Calvados. Green Mountain Distillers uses Vermont spring water (from a source near Mt. Mansfield) and 100% Certified Organic grain (from a local co-op) in its spirits. For its rye, Mad River blends three distinct rye varietals, including chocolate rye, which adds cocoa notes and richness to the finish. Tours/Tastings: Tours on Fridays and Saturdays by appointment only, call 802.496.6973 or email info@madriverdistillers.com; the tasting room is open in the summer, Wednesday through Saturday, noon-6pm. Distiller Christian Stromberg’s family fled czarist-controlled Lithuania in 1906, and they escaped with the family liqueur recipes that serve as Christian’s inspiration. Shelburne Orchards ages its brandy from two to six years in old bourbon barrels from US whiskey distilleries. Another father/son “we quit our day jobs” team, Ron and Jeremy Elliott are a one-two punch: dad’s background is in business and Jeremy is a chemist. Tours/Tastings: There are no tours at this time; there are free tastings daily from 1-5pm; Barrel House Tasting Room is open daily from 11am-5pm. 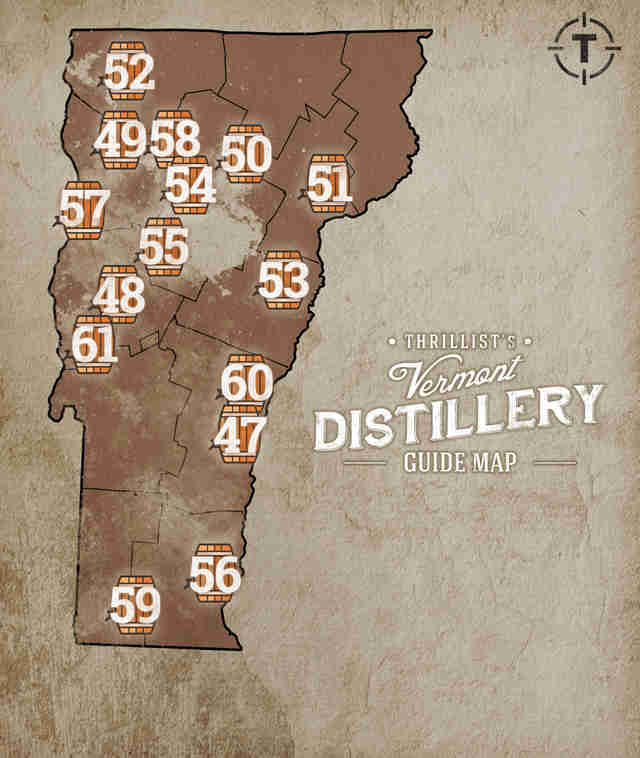 After selling their successful North River Winery, the Metcalfe brothers combined their passion for Vermont maple syrup and fine spirits to open a distillery highlighting local flavors. Many components of the distillery’s production equipment were engineered in-house and hand-built by the team. Tours/Tastings: There are no tours at this time; tastings are daily from 10am-5pm. The über-popular distillery is also an über-award winner, claiming gold medals for its rye whiskey in multiple international competitions. Founded in 2013, AstraLuna is already producing high quality, hand-made small-batch spirits, including artisan rums made with pure molasses and AstraLuna's proprietary rum yeast. Their still is named "The Duchess." Tours/Tastings: no tours/tastings at this time; there are occasional tastings at regional stores. Products: Cape Cod Great White Rum, Crook Jaw's Cape Cod Amber Rum, Cape Code Vodka, and O'Brien's Vodka. Inspired by life's moments both great and small, a group of close friends decided to open a high-end distillery to help your life moments get even better. Tours/Tastings: tours and tastings available on Fridays (4-7pm) and Saturdays (12-4pm); there are also occasional tastings at regional stores.